Tokyo Electric Power Co. has been ordered to pay 3.3 million yen ($30,000) each to 318 people who were forced to flee their hometown in Fukushima Prefecture after the 2011 nuclear disaster. However, the plaintiffs are unhappy as they sought 10 times that amount. 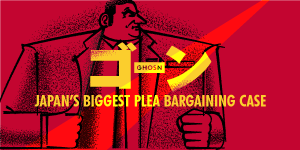 The plaintiffs are now considering appealing as they had initially sought 33 million yen each in additional damages in the lawsuit. TEPCO said it will respond to the court decision after studying it in detail. The plaintiffs lived in Minami-Soma’s Odaka district before the triple meltdown at TEPCO’s Fukushima No. 1 nuclear power plant in March 2011. Odaka was located within the 20-kilometer no-entry zone surrounding the plant from which residents were forced to evacuate. The plaintiffs contended that TEPCO was liable for causing psychological damage as they were displaced and lost their hometown. The total that TEPCO must pay to the 318 plaintiffs falls a fraction short of 1.1 billion yen, but the court dismissed claims by three plaintiffs on the grounds that they lived overseas at the time of the accident or for other reasons. The verdict was the fourth that has been handed down in regard to about 30 similar lawsuits that have been brought across the nation. In the three other suits, the plaintiffs claimed in the district courts that the government and TEPCO had been negligent, but in the latest case the court was only concerned with the amount of compensation. The plaintiffs argued for compensation for damages stemming from the evacuation, as well as compensation for a loss of various general benefits that they would have enjoyed if they had continued to reside in their hometown. The power company rejected the plaintiffs’ claim for additional compensation, citing the payment already made of 8.5 million yen per victim of the nuclear disaster in the district based on the government’s “interim guidelines” for compensation. It insisted that the plaintiffs' claim that “Odaka has been lost forever” was not proven. The evacuation order was lifted for most of the district in July 2016. TEPCO argued that the government’s interim compensation guidelines were reasonable. But the court rejected it, saying the district court will not be bound by the government’s guidelines. Rulings for similar lawsuits are expected in March at the Kyoto District Court and Tokyo District Court.